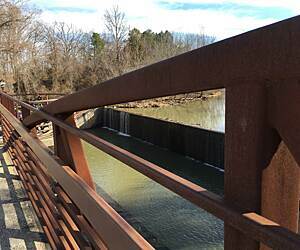 Looking for the best Cross Country Skiing trails around Siloam Springs? Find the top rated cross country skiing trails in Siloam Springs, whether you're looking for an easy short cross country skiing trail or a long cross country skiing trail, you'll find what you're looking for. Click on a cross country skiing trail below to find trail descriptions, trail maps, photos, and reviews. Super easy and flat, perfect for little kids! I have a ten and a four year old who both just started biking. We had zero problems and only had to push up hill at the access ramps to the cross streets. Also a couple of spots put you basically on the side walk by speeding traffic separated only by plastic fence pole things, kinda scary for the parents but the kids thought it was great lol. Going under several bridges beside pretty water spots called for closer inspection and added to the adventure. Very pretty ride that makes you forget you are in town sometimes, take the kids and they will love it! By the way, the Old Mo. road parking lot is usually full so plan on parking behind Regions bank at Joyce and Vantage. In the back at the end of Vantage there is an access spot to the trail. I was in Arkansas last week, visiting from PA and rode this trail, one of the best trails I have ever ridden. I am on a quest to ride 100 miles in each state and rode 62 miles one day and 40 the next and greatly enjoyed this trail. Going through a couple of towns the way the trail and the road is separated was fantastic. 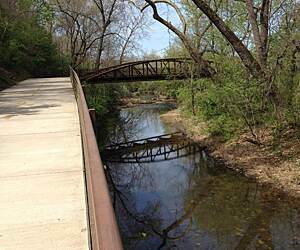 As visitors, rode some of the Greenway for first time this week. Awesome trail system. We thought the Tulsa OK trails were good but this system has them beaten for standard and variety of users. We rode trikes but the systems available for all grades of mountain bikers was phenomenal. Only complaint we had, maybe more of a comment, signage could be better in some places. As the system is made up of many trails, it was confusing when trying to go from one to another. Got onto the wrong trail twice because no signage at any trail splits.only reason we didn't give 5 stars. 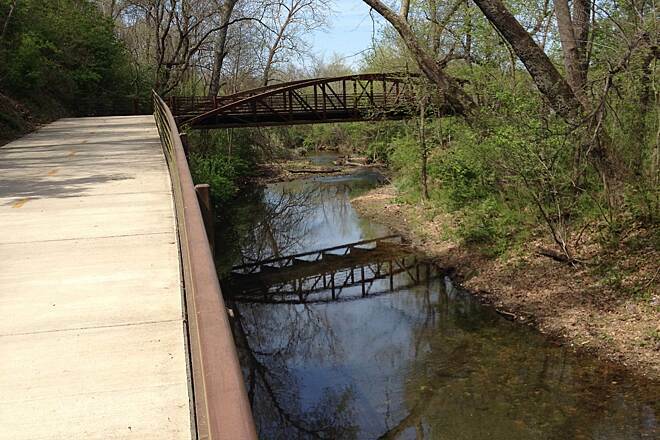 If your new to biking, this is a great trail. 90% flat and 2 small incline hills with only one road crossing on a side street. Plenty of places to rest and close to eateries. Their is Fat Tire Bike Shop just off the trail in case you need repairs ( they came in handy today). Nice scenery. 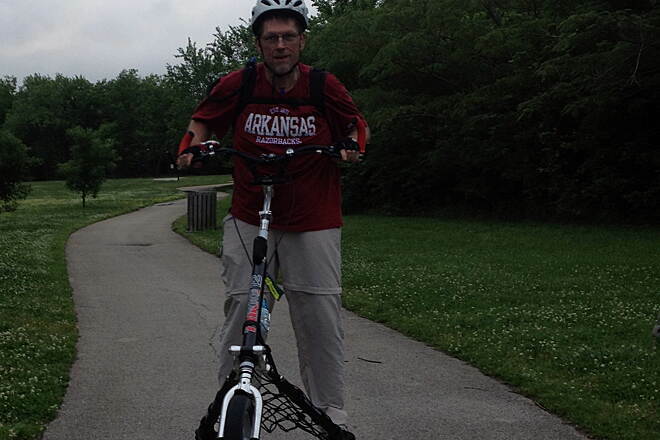 We love riding our bikes on the Razorback Regional Greenway. You can pick and choose different places to park and ride. We enjoy riding with friends whenever we can. I am fairly new to biking, but this is one of the most amazing trail systems I have ever seen. I have only ridden the northern half so far, and have enjoyed it every time I've gone out. Don't stop branching out. I live in Cave Springs and would love to see a trailhead closer to me where I can jump on. There are some signage issues that need to be dealt with. Especially around the New Hope area. Thanks again for providing an excellent trail. It was nice really pretty sceneries. Got alittle bit confusing when u had to cros the street go up a ways n restart the trail we will do this trail again. 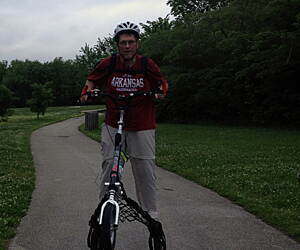 I live in Springdale and ride four miles from home through city streets to downtown where I catch the Greenway. At the moment the trail is blocked in two places going north. Signs say the trail is closed at Pleasant Grove Road, but I continued on all the way until where it crosses under I-49. It's blocked there and will be for several months because they are widening I-49 and building the trestles under the highway. There is a detour shown from Pleasant Grove up over and around I-49 but I'm told it's on city streets and bit hazardous. And up near Bella Vista in the north its closed by more highway construction for the new bypass. It's called progress and when it opens again it will be possible to traverse then entire path from north to south. It is a fun and picturesque ride. In some fifteen months I've ridden some 3,000+ miles on this system on a recumbent trike. It's a lot of fun. More and more trails are connecting to the system in the coming years. You just need to be patient. It's only going to get better and better. 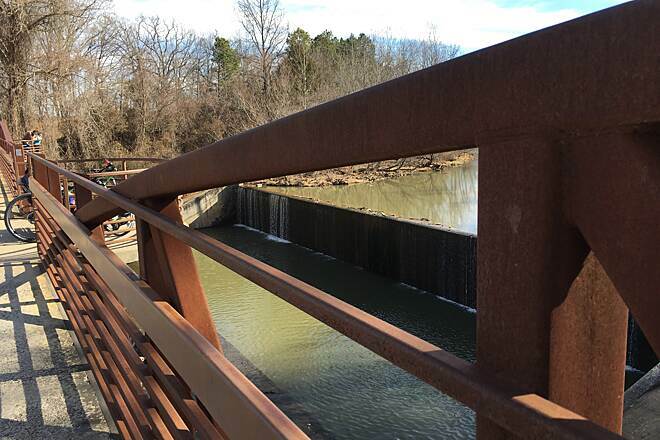 Ran here in November during fall foliage visit.Started at Veterans Park off Zion Rd.Headed east on recently completed portion of trail.Really enjoyed this run.Trail was uncrowded.Trail was bordered by trees and was somewhat hilly.Very scenic trail. We rode this trail completely around the lake starting from the Park. It is hilly, but not excessively so. It looks like it is nicely maintained.